Because of the heavy forest cover on the West Coast, good exposures of the Alpine Fault are rare. 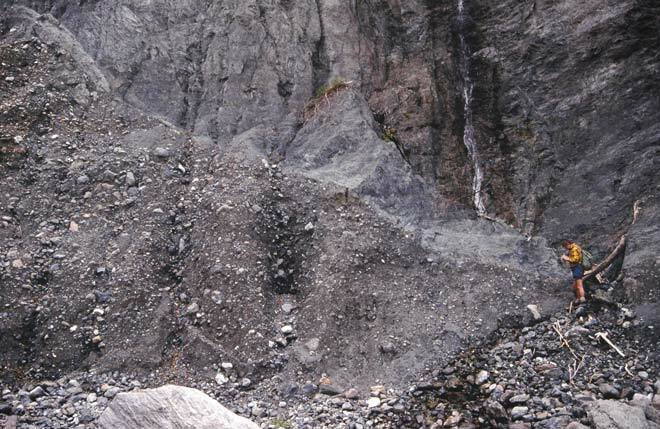 This outcrop, in the Martyr River, shows crushed schist (upper right) thrust over fan gravels. The fault dips about 40° to the east, which is typical of other exposures that have been recorded.